Billboard on I-70 at the 22 Road entrance to Grand Junction. Got cash for pot? Then stay in the car and keep driving on through to Parachute! 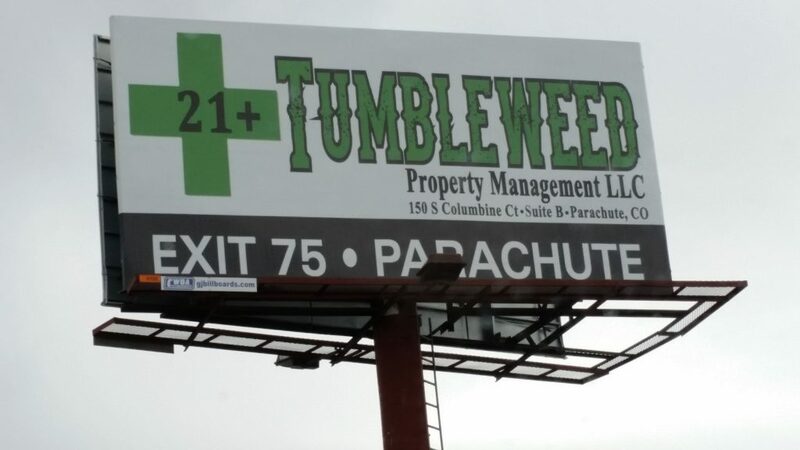 Travelers on I-70 coming into Colorado and looking to spend their cash on legal marijuana see this billboard at the entrance to Grand Junction, urging them to bypass our town and go spend their money in Parachute instead. Even now, fully four years after the passage of Amendment 64 which legalized recreational marijuana in the state, Grand Junction is a “dry” town for marijuana. Even the Los Angeles Times reported on April 4 of this year about how pot taxes reversed the fortuned of the little town of DeBeque, whose economy was struggling from the years-long collapse of the oil and gas market. DeBeque approved the sale of recreational marijuana in 2014, and never looked back. Sales of pot in DeBeque are some of the best in the state, according to the Times, and DeBeque residents’ fears of pot melted away after they saw that the majority of patrons to the dispensary are older people with money. “City streets are being repaired, curbs and gutters are getting replaced, the community center got a new floor and air conditioning, sewers will be fixed and pot money is being set aside for scholarships at the high school,” wrote the Times about DeBeque and it’s pot-tax bonanza. Marijuana is now a legitimate, billion-dollar industry in Colorado. There are over 2,500 pot shops in the state, generating jobs, tourism and tax revenue. Jurisdictions in the state that allow pot commerce are enjoying burgeoning economies and historic growth. Even Governor John Hickenlooper is now admitting that marijuana isn’t as worrisome as he thought it would be and legalizing it has been a fiscal boon for the state. But Mesa County Commissioners and Grand Junction city leaders continue to tremble in their boots with visions of Reefer Madness, and stick to their short-sighted ban on marijuana commerce, forcing area citizens to continuing living with low wages, high unemployment, homelessness and hunger. I’ve been saying all of what Anne has said, and more, for a long time. These people, the city council and commissioners want to continue to be stupid, so be it. Debeque isn’t that far away. Hopefully, Palisade isn’t far behind. Isn’t wasn’t all that long ago we had the Sunday law where you couldn’t buy alcohol on Sundays, unless it was 3.2. Now some of the liquor stores are whining that they’ll have to compete with supermarkets. 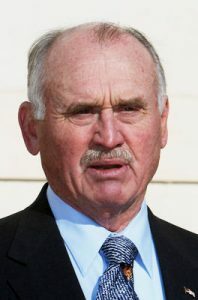 Mesa County: NRA and Jesus proud. Opium is illegal in Colorado, unlike marijuana. It’s a reference to the ‘slippery slope’ in discussing the field of Ethics that I made the comment. (Sorry for the sarcastic tone. The USA is a frustrating reality today for all of us). Given human nature, we tend to have different capacities and knowledge when it comes to beneficial behavior. Look at the level of the average Wall Street CEO during the 2008 meltdown for an example of what I mean. We had ‘legalized’ Credit Default Swaps and Derivative creation by banks. But we wouldn’t want to therefore legalize, say, perpetual Quantitative Easing for the Banker’s tool box. Maybe we shouldn’t allow many things given our inability to handle the radical freedom given us in this life? GMO’s anyone? How about Nuclear power? We lack discernment personally and as a culture today. Just think of the taxes that could be collected with opium dens! What a great country we have.